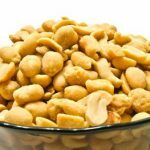 In a study published November 20, 2013 in the New England Journal of Medicine, researchers looked at the association of nut consumption with total and cause-specific mortality among 76,464 women in the Nurses’ Health Study and 42,498 men in the Health Professionals Follow-up Study. 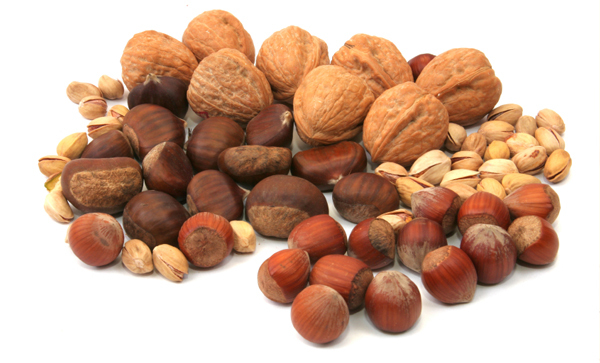 Consumption of nuts, including tree nuts (such as pistachios, almonds, Brazil nuts, cashews, hazelnuts, macadamias, pecans, pine nuts, and walnuts), was inversely associated with total mortality in both men and women, independent of other predictors for death. In addition, there were significant inverse associations for deaths due to cancer, heart disease and respiratory disease. 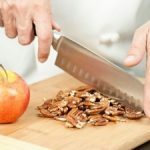 This is the largest study to date to examine the relation between nut consumption and total mortality, and the results are consistent with previous studies, according to senior author, Charles Fuchs, MD, MPH, from the Department of Medical Oncology, Dana-Farber Cancer Institute, Boston, MA. “The findings from our study and others suggest a potential benefit of nut consumption for promoting health and longevity,” reported Dr. Fuchs. 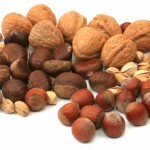 Nuts contain important nutrients such as unsaturated fats, high quality protein, vitamins (i.e., vitamin E, folate and niacin) minerals (i.e., magnesium, calcium and potassium) and phytochemicals—all of which may offer cardioprotective, anticarcinogenic, anti-inflammatory and antioxidant properties. Previous studies have supported the disease-protective power of nuts, specifically pistachios. Studies suggest that pistachios eaten in moderation may help support healthy blood glucose levels. Additionally, the FDA recognizes that eating 1.5 ounces per day of most tree nuts, including pistachios, as part of a diet low in saturated fat and cholesterol may lower the risk of heart disease. And for weight maintenance, emerging research suggests that the actual act of opening the shell to eat a pistachio helps to slow down the eating process. The shells appear to serve as a visual cue in reducing caloric consumption. Even though fewer calories (and pistachios) are consumed, there was no difference in satisfaction. A one-ounce serving of pistachios is 49 nuts, more per serving than any other snack nut, and provides a good source of fiber (3 grams), 6 grams of protein and 11 grams of heart healthy fat all for just 160 calories. “Cardiovascular disease (CVD) is one of the leading causes of mortality in India. It is estimated that 23.6 million CVD cases will be reported in subjects younger than 40 years of age by 2015, suggesting that young Indians are at higher cardiac risk,” says Wahida Karmally, DrPH, RD, CDE, Associate Research Scientist, Columbia University. 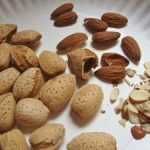 “Several studies have demonstrated that regular consumption of nuts such as pistachios and almonds (about five ounces per week) is associated with a reduced risk of heart disease. Because of their beneficial unsaturated fatty acid profile as well as other nutritional components such as protein, magnesium, potassium, nuts may be incorporated into a healthful dietary pattern low in saturated fat and cholesterol to reduce LDL-cholesterol (bad cholesterol). 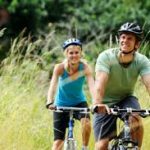 The study was funded by the National Institutes of Health (NIH) with additional support from The International Tree Nut Council Nutrition Research & Education Foundation (INC NREF). The National Institutes of Health is made up of 27 different components called Institutes and Centers. Each has its own specific research agenda. All but three of these components receive their funding directly from the UnitedStates Congress, and administrate their own budgets. NIH’s mission is to seek fundamental knowledge about the nature and behavior of living systems and the application of that knowledge to enhance health, lengthen life, and reduce illness and disability.